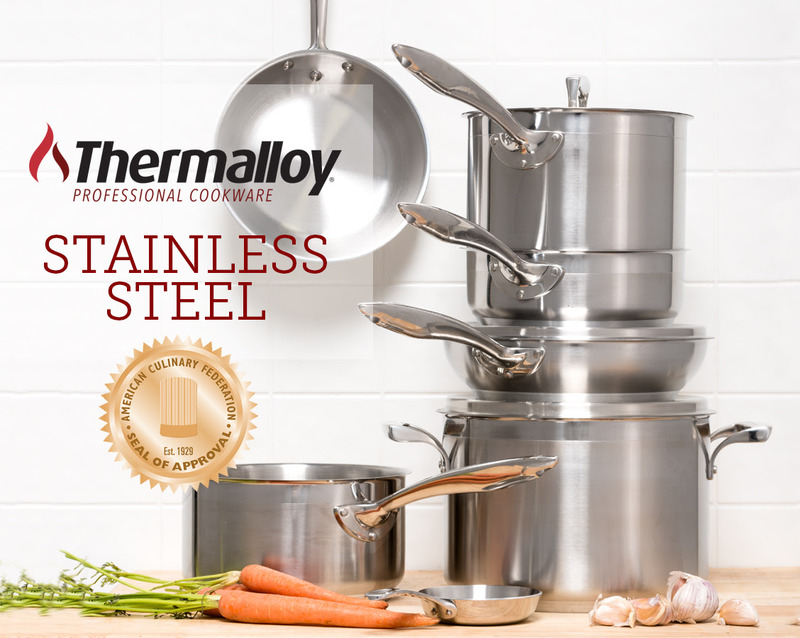 Browne's Thermalloy stainless steel cookware is the only cookware to earn the American Culinary Federation's Seal of Approval, representing quality benefits including application, ease of use, physical properties, and performance. Browne Foodservice provide Thermalloy stainless steel cookware in a variety of sizes and styles. Because of its signature styling and elegant finish, this collection is also the perfect choice for front-of-house styling for both table and buffet-type service. Interested to learn more about Browne's Thermalloy stainless steel cookware? Contact one of our experts here at PFEG to learn more.